Series 7 Wet/Dry Electric Shaver Silver plus Clean&Charge Station & Travel Case is rated 4.5 out of 5 by 291. Rated 5 out of 5 by SD99 from Amazing Upgraded from a series 5. Wow! What a difference. Has cut shaving time by at least 60% and super smooth results. Self clean also fantastic. No more shaving rash. Rated 5 out of 5 by RadioJunkie from Amazing Value How did i live without this is beyond reason,it's so easy to operate and the cleaning is done for you and the finished shave is so clean cut you have to look twice to see if it's you. Rated 5 out of 5 by CJD53 from Excellent shaver My first electric shaver at age 65. Selected from positive reviews and definitely has not disappointed. Maintains charge for more than 2 weeks of daily shaving. Very comfortable and clean result every time. The clean and charge station is also a clever and effective idea. 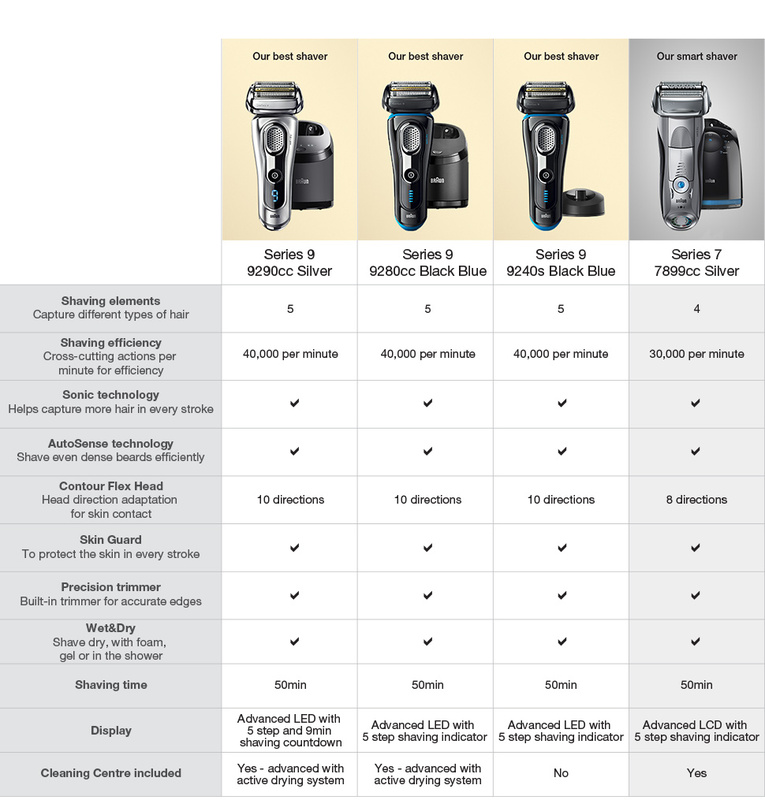 How does the '60 days warranty' work on the Braun shavers? I cannot add the product to my cart. Is it available? Braun Series 7 Wet and Dry. I have a Series 7 shaver. Can I buy the Clean &amp; Charge station separately ? I need to replace the clean and charge station of my trusted Braun 7, where can I get one? I pick mine up from the Shaver Shop. They come in a 2 pack from around $20. Power lead goes into the base. Also make double sure the shaver is seated correctly in the cradle it should sit on a slight angle. I made those mistakes myself. Hope this helps.